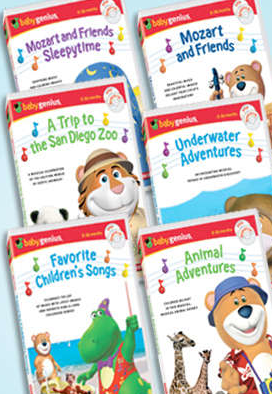 LivingSocial is offering a collection of SIX Baby Genius DVD’s for just $25 (reg. $60) today! Baby Genius DVD’s offer a whimsical combination of entertainment and education, these collections feature hours of upbeat sing-alongs, traditional lullabies, calming classical pieces (including Mozart), and other stimulating sounds to keep your little learner both amused and engaged. Head over and cash in on this deal now! It’s Back: 24 Count Clif Kid Zbars Variety Pack just $9.77 Shipped! More BabiesRus/ToysRus Coupons & Deals! Maclaren Volo Stroller just $87 Shipped!